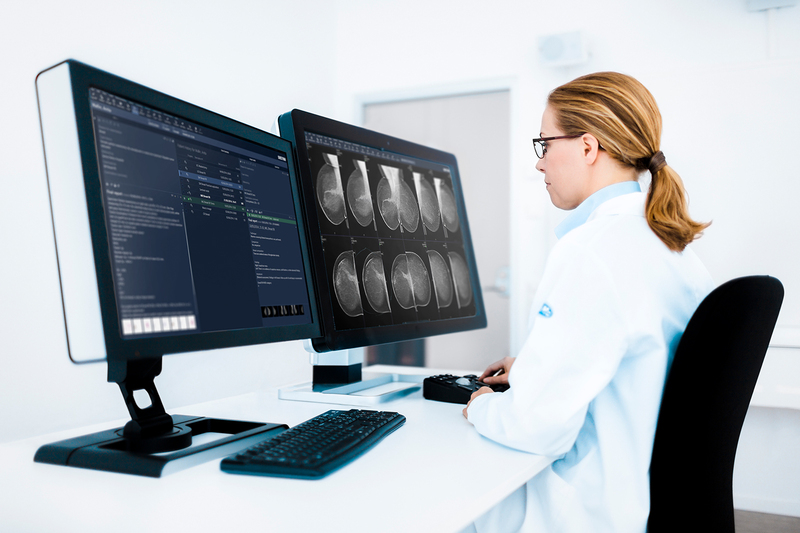 Linköping, Sweden and Shelton, CT – January 10, 2019 – International medical imaging IT and cybersecurity company Sectra (STO: SECT B) will install its enterprise breast imaging solution throughout the fifteen North Carolina-based breast centers of Charlotte Radiology. Upon project completion, radiologists will experience enhanced workflow productivity through multi-modality viewing on one workstation with the end goal of improved cancer care. Sectra PACS displays ultrasound and MRI images side-by-side with digital mammograms and digital breast tomosynthesis exams, facilitating comparison of current and prior images according to radiologist preference. Radiologists at all eight reading locations will have the ability to workload balance ensuring timely and efficient reporting turnaround times for their mammography patients. Charlotte Radiology, a founding partner of US Radiology, owns and operates 15 breast centers, a mobile breast center, two vein centers, two interventional radiology sites and jointly owns five free-standing imaging centers. Their 100+ subspecialized radiologists read more than 1 million studies annually for 14 hospitals, 30 imaging centers and a multitude of healthcare providers. The breast imaging contract was signed in November. Sectra breast imaging is a component of Sectra’s scalable and modular enterprise imaging portfolio, which can be extended to other image-intense departments such as pathology, cardiology and orthopaedics. Sectra’s solution for enterprise imaging, including breast imaging, will be showcased at HIMSS in Orlando on February 11-15 and at ECR in Vienna, starting on February 27. US Radiology is one of the largest and most progressive radiology groups in the country. In conjunction with a leading healthcare investment firm, Welsh, Carson, Anderson & Stowe, US Radiology continues to grow through partnerships with like-minded, quality-focused radiology groups to share ideas, leverage resources and deliver best-in-class patient care. With more than 25 years of innovation and 1,800 installations, Sectra is a leading global provider of imaging IT solutions that support healthcare in achieving patient-centric care. Sectra offers an enterprise imaging solution comprising PACS for imaging-intense departments (radiology, pathology, cardiology, orthopaedics), VNA, and share and collaborate solutions. Read more about Sectra and why Sectra PACS is “Best in KLAS” for a fifth consecutive year at http://www.sectra.com/medical/.